Mr Litchman has no staff. Throughout the consultation Mr Litchman did not suggest what he thought I was suffering from. Hecould say though that it was not bipolar since I had been sleeping fine lately. He based this on one single symptom although I had given him a host of other symptoms. At the end Mr Litchman would not give me any bill listing the services performed and the fee. I needed a bill to put in a claim ith my insurance. I need this bill before anything. Mr Litchman has no staff. Throughout the consultation Mr Litchman did not suggest what he thought I was suffering from. He could say though that it was not bipolar since Ihad been sleeping fine lately. He based this on one single symptom although I had given him a host of other symptoms. At the end Mr Litchman would not give me any bill listing the services performed and the fee. I needed a bill to put in a claim ith my insurance. I need this bill before anything. Please note: DR. LICHTMAN DOES NOT PARTICIPATE DIRECTLY IN ANY INSURANCE PLANS. PLEASE CHECK YOUR INSURANCE COVERAGE FOR ANY OUT-OF-NETWORK BENEFITS YOU MAY HAVE, WHICH MAY ALLOW YOU TO FILE CLAIMS TO PROVIDE REIMBURSEMENT DIRECTLY TO YOU. DR. LICHTMAN ONLY PRESCRIBES MEDICATION FOR PATIENTS SEEING HIM IN PSYCHOTHERAPY. Dr. Lichtman understands that change can be scary and that patterns are hard to break, but when patients commits to—and invests in the process—it is possible for them to change their lives in ways they cannot currently imagine. 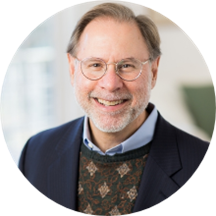 Craig Lichtman, MD, FIPA, MBA has been practicing psychodynamic psychiatry, psychotherapy and psychoanalysis in the Greater Philadelphia area for more than 30 years. Dr. Lichtman works primarily with individuals but often consults with couples, families, and organizations to address relationship and group conflicts. He specializes in helping patients overcome the potentially overwhelming challenges and responsibilities that come with the transition into adulthood. Stumbling blocks can come up at any age, but most often occur in rising adults in their late teens to early 30’s. As a Consultation-Liaison Psychiatrist, Dr. Lichtman is frequently asked by his medical colleagues to consult on their patients. He is a respected resource in the multidisciplinary care of patients involving psychiatry, psychology, medicine, neurology, surgery, psychosomatic medicine, and hospital systems. Dr. Lichtman is a Fellow of the International Psychoanalytical Association (FIPA), and is on the Faculty of the Psychoanalytic Center of Phila. He has been a Clinical Assistant Professor of Psychiatry at the University of Pennsylvania for more than 25 years. In addition, he currently serves on the Board of Directors for The Center for Autism and PLAN of PA.
Lichtman, C. (2010). Psychosomatic Medicine: A Psychoanalyst’s Journey Through a Somatic World. Psychoanalytic Inquiry 30:380-389. Pleasure, D., Lichtman, C., et al (1979). Acetoacetate and d-(-)beta-hydroxybutyrate as precursor for sterol synthesis by calf oligodendrocytes in suspension culture: extramitochondrial pathway for acetoacetate metabolism. Journal of Neurochemistry 32: 1447-50. Lichtman, C. (March-April, 2008). Psychodynamic Diagnostic Manual (PDM). Psychosomatics 49:178-179. Lichtman, C. (Spring 2006). Coping with Loss, Retribution, and Closure in Mediation, ACResolution, Association for Conflict Resolution (ACR).